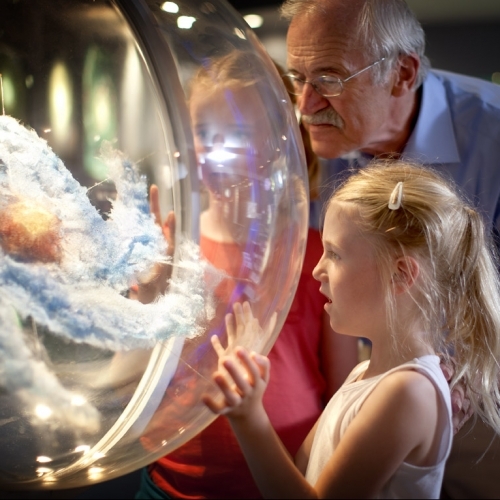 Cozmix is proud to present you a permanent interactive exposition about astronomy. During group visits extra explanations about astronomical themes are given, but the exposition is also made very attractive to discover the secrets of the universe at individual pace. Information about the birth and life of stars, about our own solar system, about galaxies and the origin and future of the whole universe is presented in an interactive way. What do stellar nebulae look like? How will our universe continue to expand? How do astronomers collect information from the sky? For all these questions an answer is provided in the exposition. From time to time Cozmix hosts temporarily expositions about certain astronomical topics. Please follow the announcements via this website.